I absolutely love DIY’s, especially if they’re for the home! 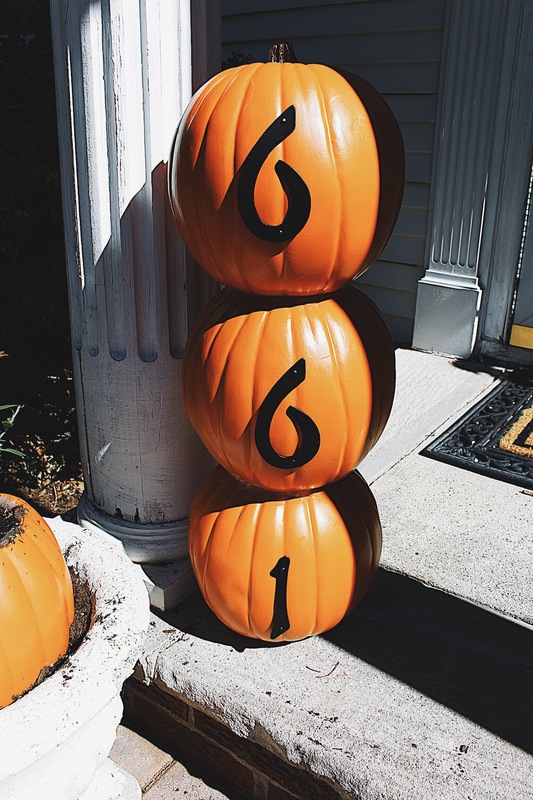 Whenever I think of October, I think pumpkins. Pumpkin picking is one of my favorite things to do. 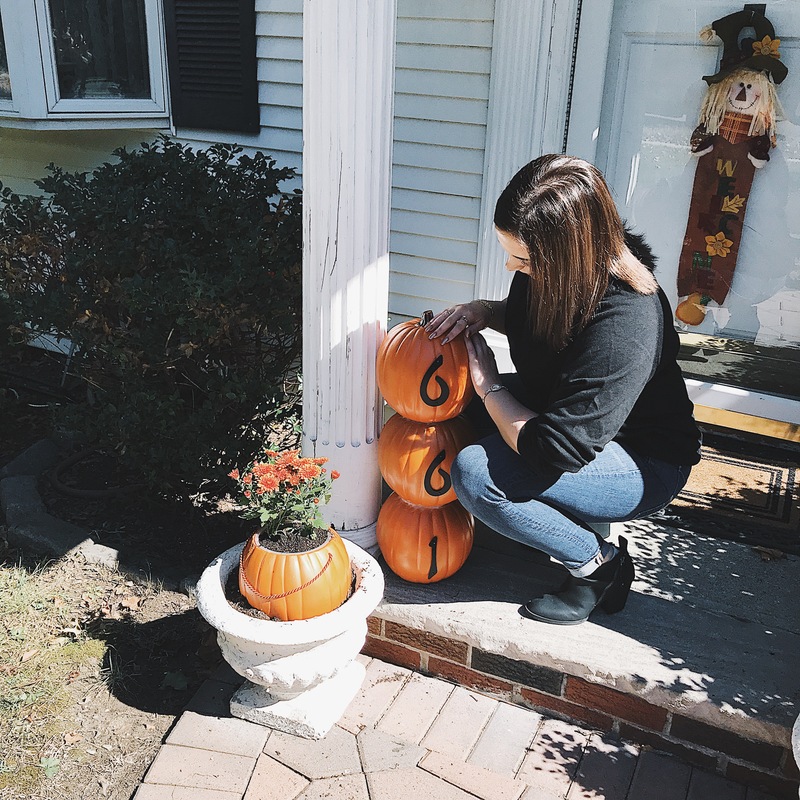 I love having pumpkins around the front door, and outside, but I hate when they start to go bad, my solution for that is faux pumpkins! 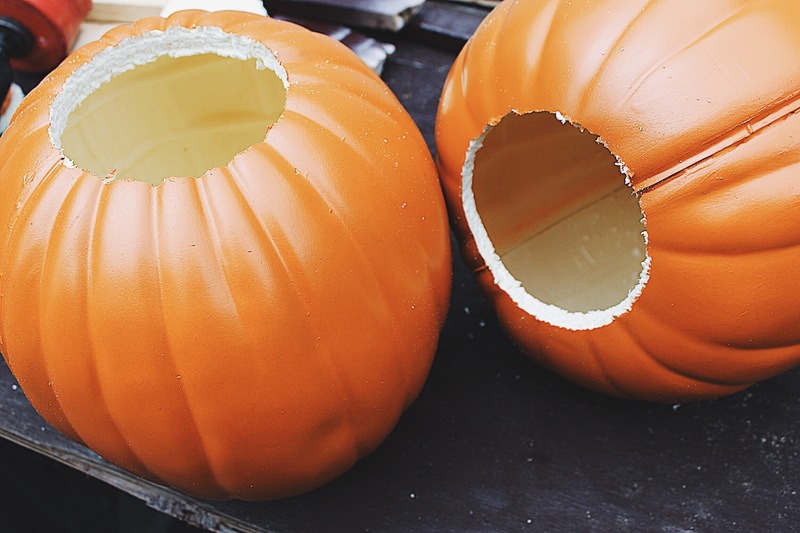 This DIY will consist of faux pumpkin decor, to get rid of the hassle of real pumpkins going bad! Let’s jump into this DIY! 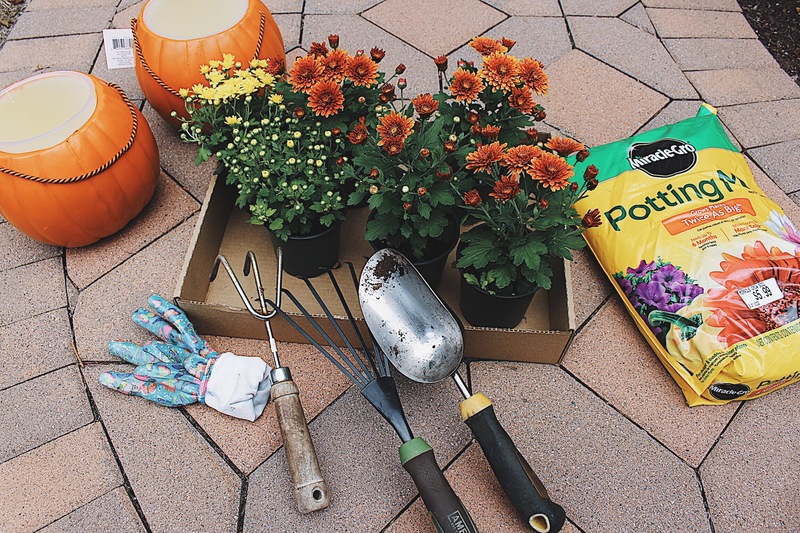 First thing to do is figure out where you want to place your pumpkin flower pots. 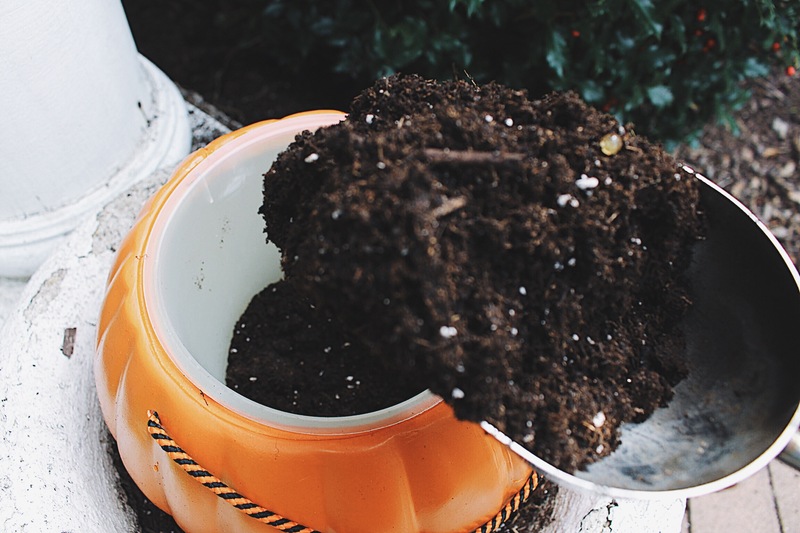 Outside of my front door we always have these big white pots that we put flowers in, so I decided to place my pumpkin flower pots inside them. 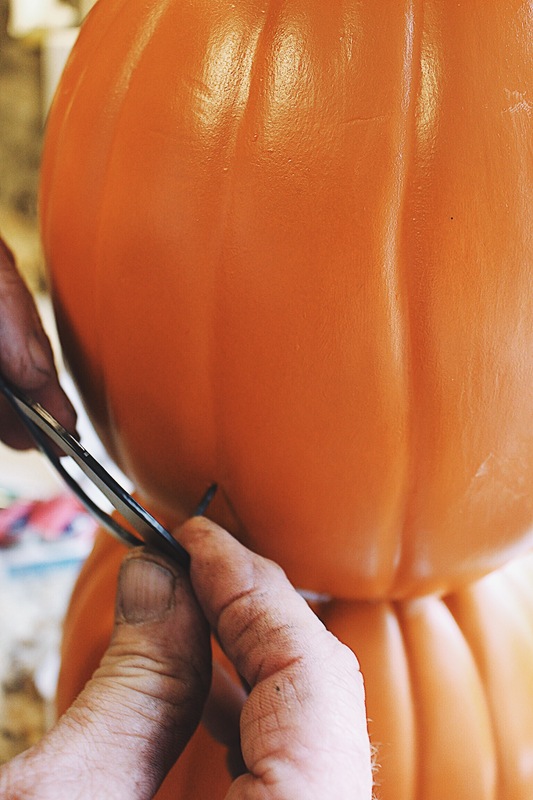 Measure your flowers according to the pumpkin and fill your pumpkin with soil. I filled my pumpkin about half way. 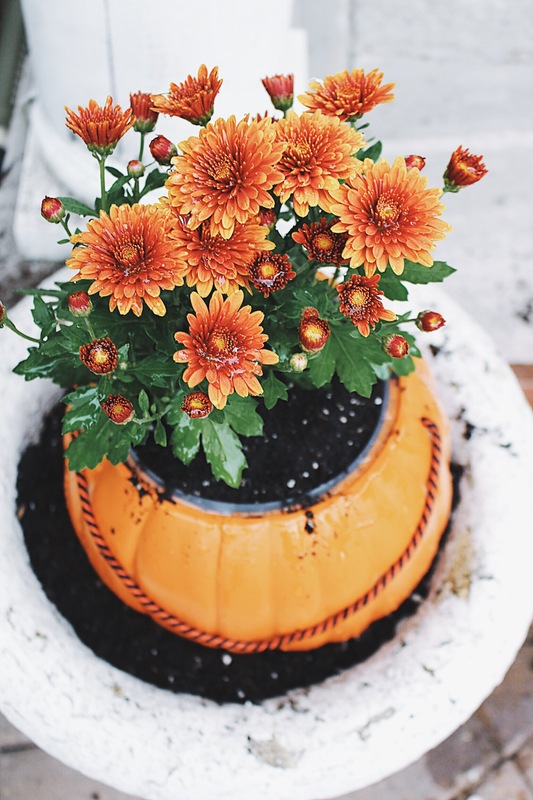 You don’t want to overfill your pumpkin because when you put the flowers in, there needs to be space from the top so when you water the flowers it goes down. 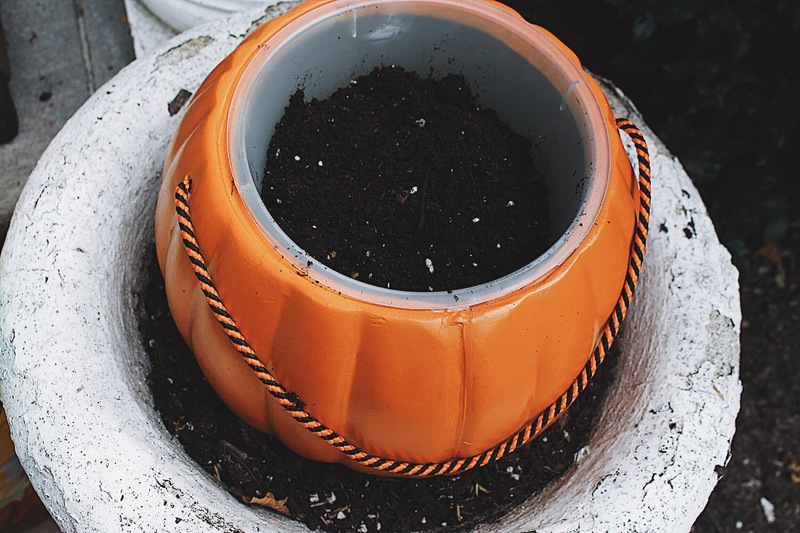 I used (2) 4″ mums in my pumpkins because it was the best fit for my 6″ pumpkin. 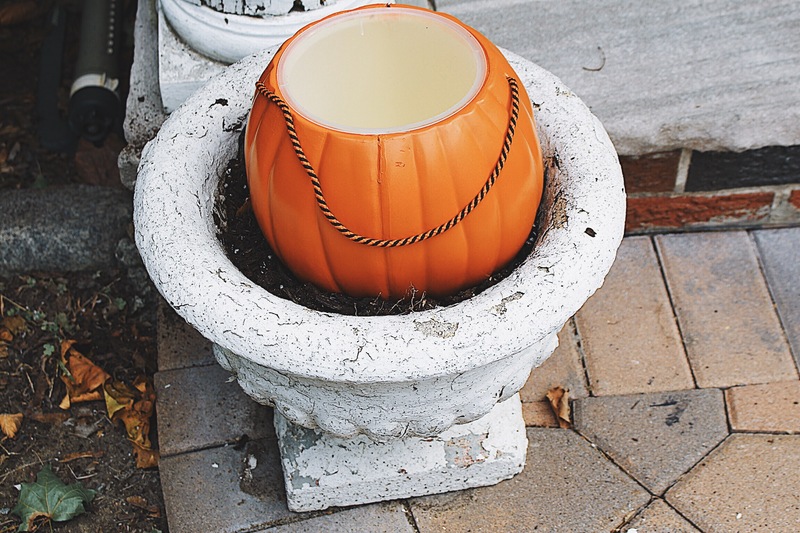 Just take the flowers out of their pots and gently push them together into the pumpkin. 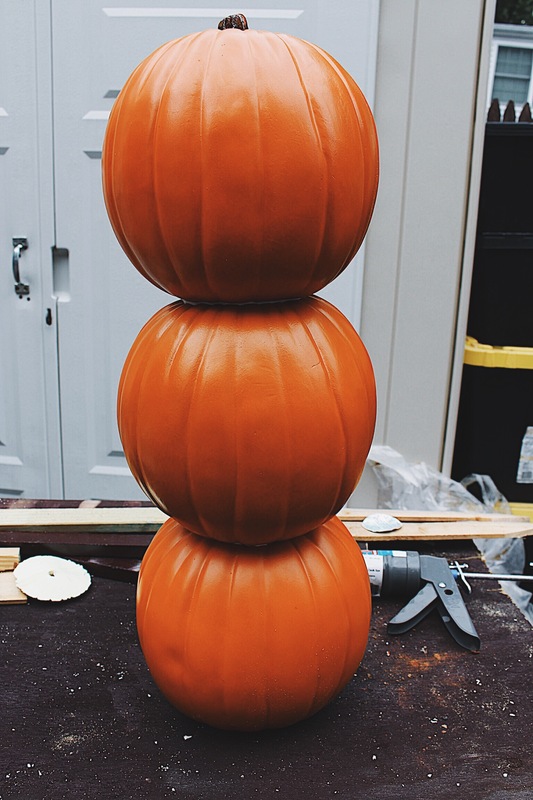 Repeat steps for second pumpkin. 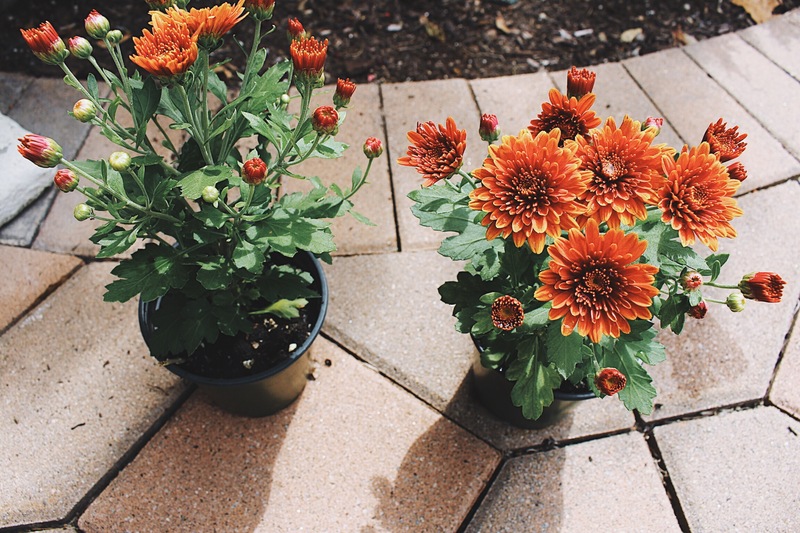 Water your flowers after you have finished. If you are making it weather proof like I did, then you need assistance (my dad helped me using the tools). 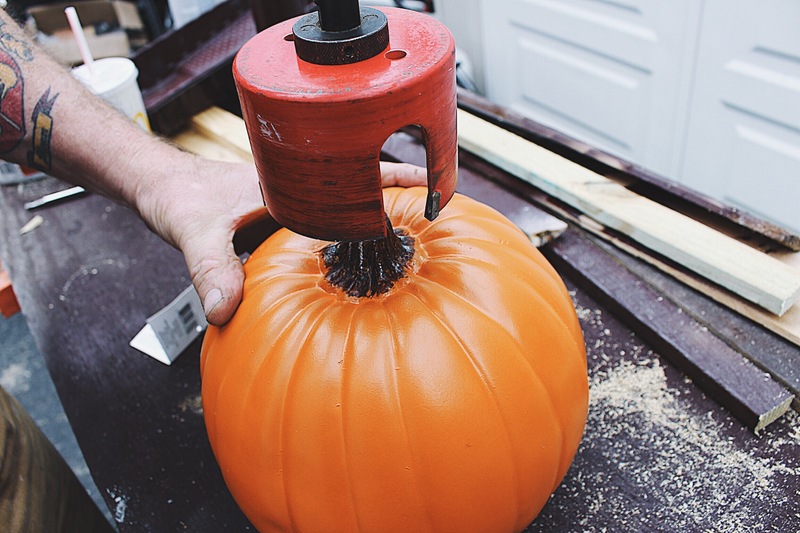 Using your hole saw, cut the top of your bottom pumpkin off and the bottom of your top pumpkin off. 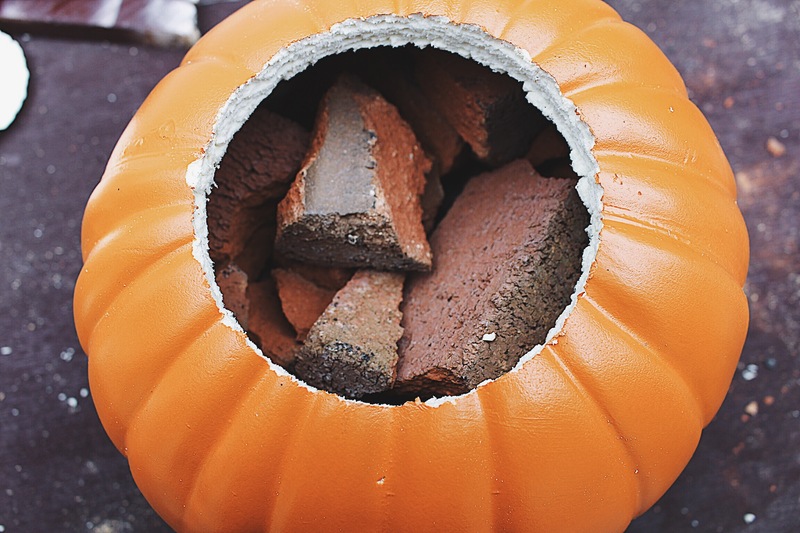 Fill your bottom pumpkin with something that will keep it from knocking down due to wind – I used crushed bricks. 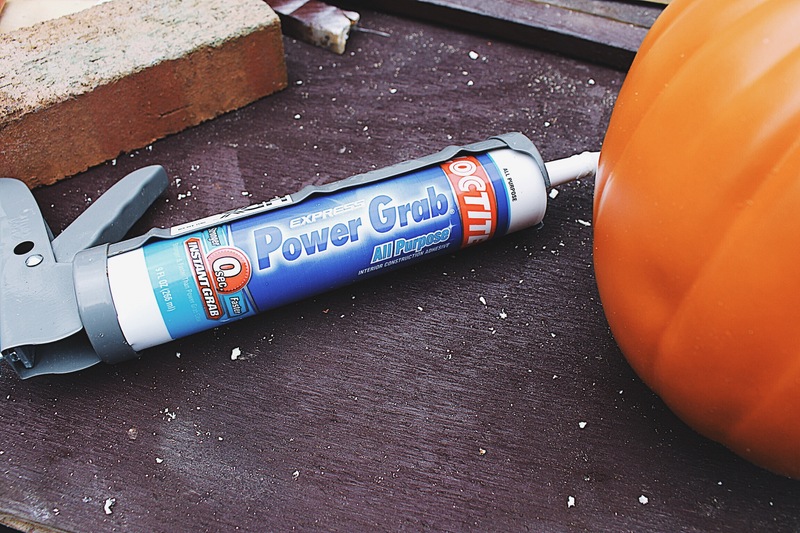 Take your power grip adhesive and line the bottom pumpkin where you cut the top off, gently place the middle pumpkin evenly onto it and hold down for a few seconds. 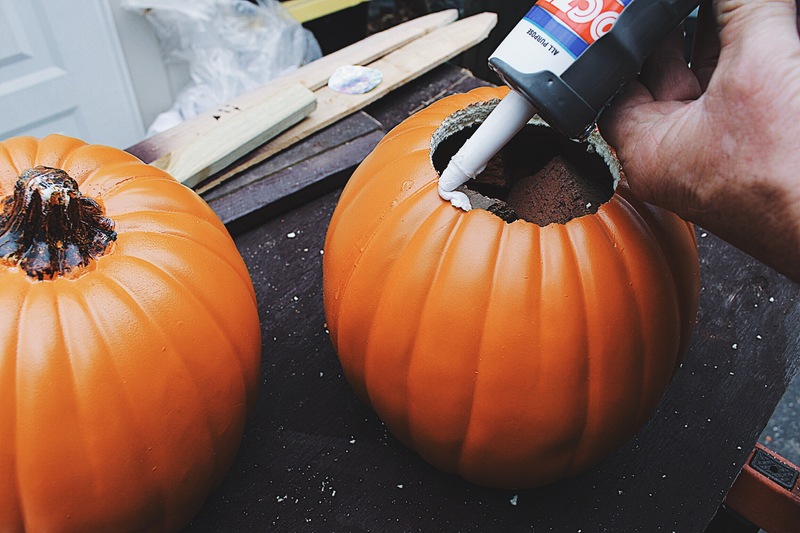 Continue glueing together your pumpkins (If it is humid out, you will have to move inside so the glue can dry). Attach your address numbers/letters using the nails they come with. 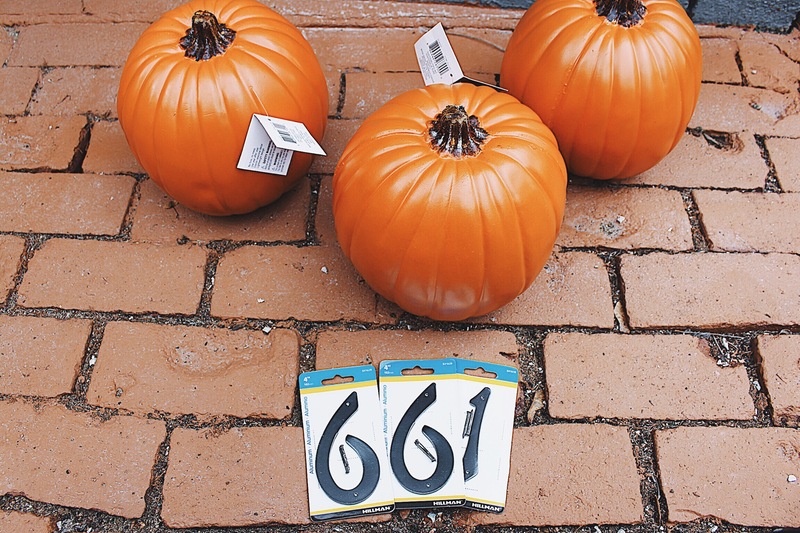 Find a spot to place your address pumpkin sign! 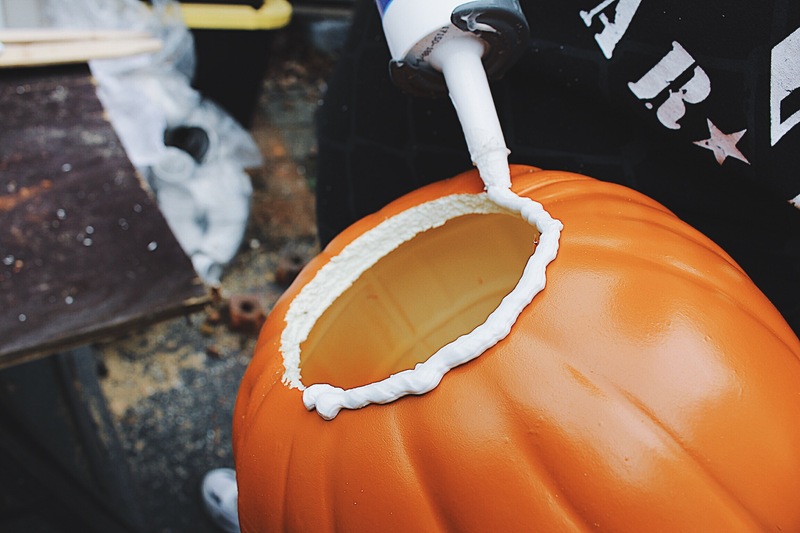 These are such great DIY’s for your fall home decor! I love the way they turned out! They’re super easy to make with a little help from a friend. I hope you all enjoyed this DIY! If you recreate them send me a picture or tag me via social media!